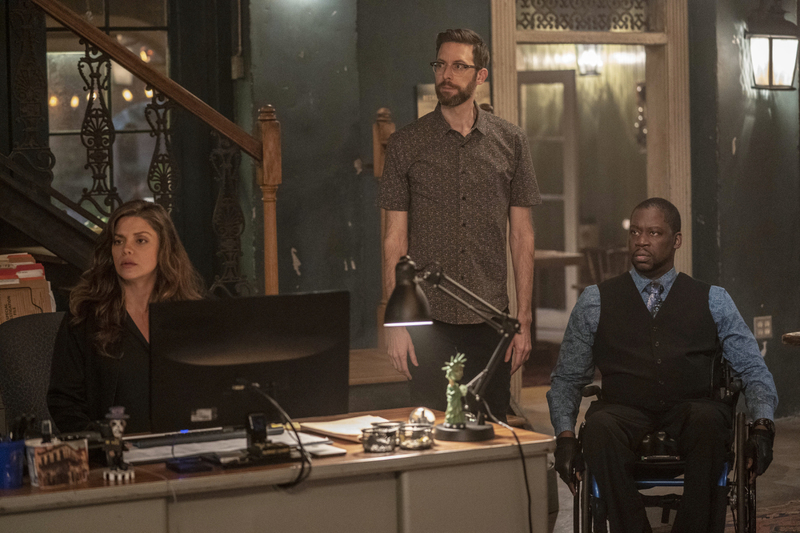 Preview images and spoiler description for the NCIS: New Orleans episode "Crab Mentality"
The team investigates multiple murders tied to a construction company creating an experimental chemical that strengthens sea walls. Also, evidence from Hannah’s previous mission in Oman is used against her as blackmail, on NCIS: NEW ORLEANS, Tuesday, Feb. 26 (10:00-11:00 PM, ET/PT) on the CBS Television Network. NCIS: New Orleans stars Scott Bakula (Special Agent Dwayne Pride), Lucas Black (Special Agent Christopher Lasalle), Vanessa Ferlito (Special Agent Tammy Gregorio), Necar Zadegan (Special Agent Hannah Khoury), Rob Kerkovich (Forensic Agent Sebastian Lund), Daryl “Chill” Mitchell (Investigative Computer Specialist Patton Plame), and CCH Pounder (Dr. Loretta Wade). No guest cast list was made available for this episode.